I finished this cowl over the weekend, the pattern is a striking stitch design and fun to knit. I loved that the pattern was super easy to memorize and you could multitask while whizzing away on the the stitches. Pink is not my go to color but this pink is just perfect. I'm thinking that this cowl will be a present for someone special, so I've folded it up and placed the cowl in my gifting pile. However, I'm tempted to keep the cowl for myself. 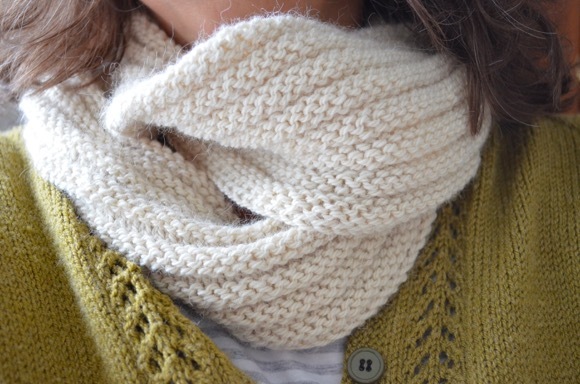 Gorgeous cowl! It looks fabulous on you! It is a very pretty pink - someone will really love it! I love this! I think I may have to make my sister one for Christmas. She'd love it!! Pink is one of my go to colors and I love it on you! Beautiful! That is such a wonderful color on you-I'm sure whoever gets it will treasure it! Lovely, Karen! The pink suits you! Very pretty! It looks like a neat pattern. So what other things do you have in your gifting pile? The cowl is lovely. Well done. I support you on whether you gift it or keep it. I'll admit, I think that shade of pink really suits you. The cowl looks great on you. I vote for keeping it. Well I think it is amazing and gorgeous and I want to be your friend who gets it ! HAHAHAH just kidding. IT is wonderful though. 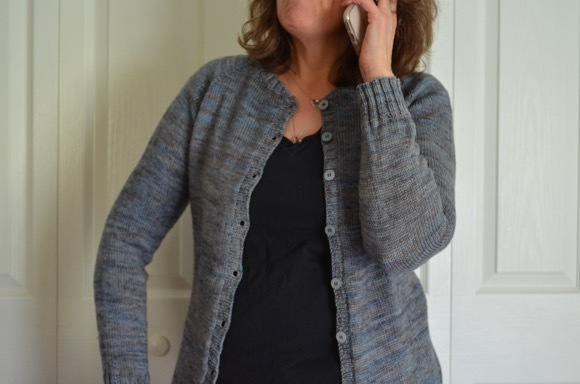 I love a lazy easy fabulous finish of a knit! The colour really does suit your skin tones. The cowl is beautiful, I am a great fan of the colour. you really look great in this color......it probably needs to be added back into the mix!!! It looks like the perfect length for the double wrap, too. Lovely!!! I am always torn between keeping and gifting...So tricky! How many knitted accessories does one woman need, plus always fun to give a friend a special gift... It came out lovely! Love this cowl, lovely pink and open pattern. Nice work! Did you have to purchase yarn to get the pattern? I am subscribed to their newsletter and they gave a coupon code for the pattern (free). They send a weekly email and it's a lovely email to read. Love it! Churchmouse is a great yarnshop and a fun place to visit. That's great. I really should make easier presents for people rather than time consuming knits that I"m not sure are really appreciated. It really suits you Karen...I think that you should keep it for yourself. You deserve it. What a great cowl. I have it in my Ravelry library. Someday. Wonderful wonderful! Thank you so much for the link. You've just officially given me the pattern for my mother's Xmas present. Can'T wait to start that!